Crow’s feet, lion’s wrinkles, marionette’s lines and many others. You must be guessing that these are names for wrinkles. These names are funny but I’m sure no one laughs seeing first lines and creases on the face. Can you get rid of wrinkles? Sadly, you can’t. You can delay their occurrence and smooth the ones that are already there. How? Face fitness is a solution. What is a facial fitness workout? This kind of exercise tones up muscles of the forehead, eyes, cheeks and chin area. Regularity and precision matter a lot. Face fitness involves tightening and releasing chosen muscle parts of the face. In other words, you make faces and press skin with fingers. Regular face workouts enhance the production of collagen, increase the blood flow and strengthen the muscles. First results are visible after just one month of regular exercising. Face fitness makes the skin smooth, firm and elastic. It smoothes wrinkles on the forehead, around the lips and on the neck. A facial workout makes the lion’s wrinkles, crow’s feet and marionette’s lines less visible. It reduces under-eye swellings and lifts drooping cheeks and eyelids. The skin is radiant and the face looks relaxed and rested. 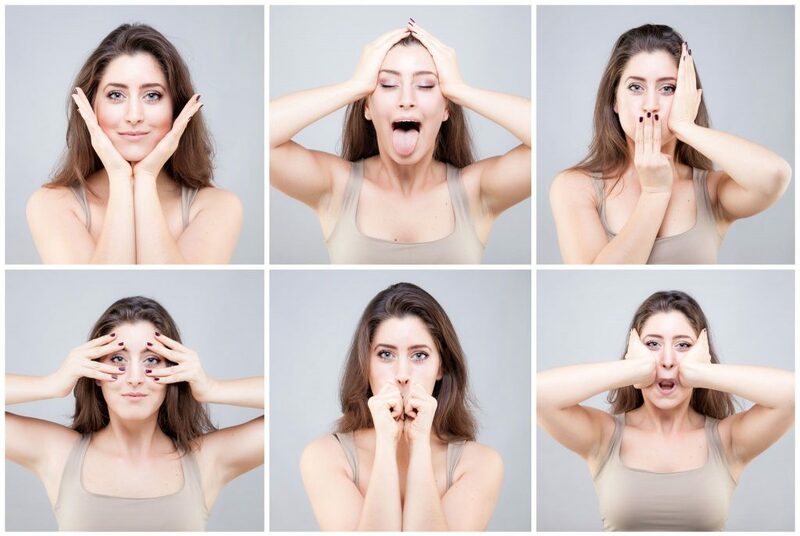 How to do the face fitness workout? a crane for the double chin and neck lines – stretch your neck up, pull the jaw forward and release after five seconds. Repeat 20 times.